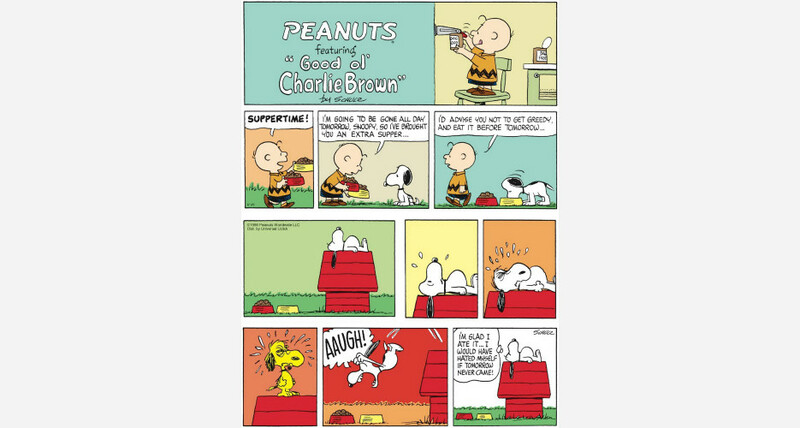 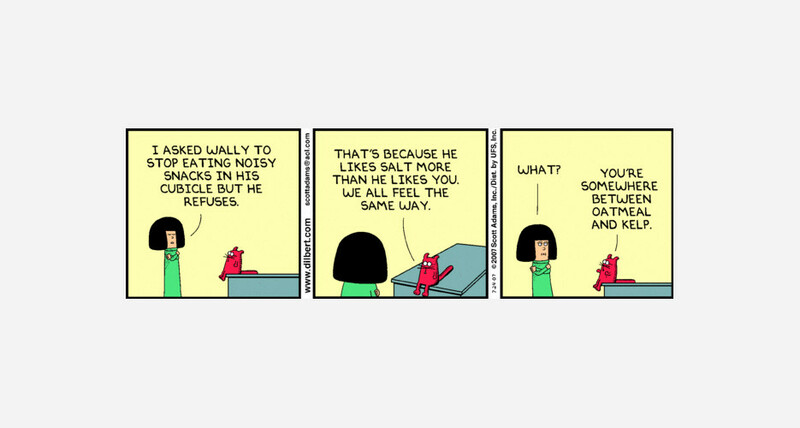 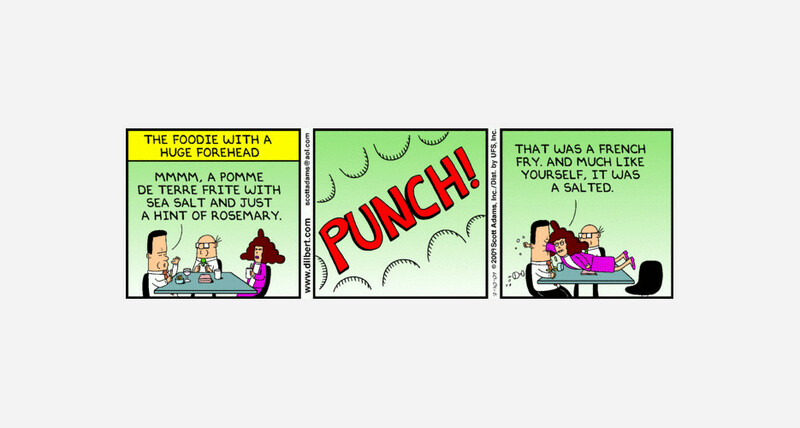 Snoopy and Dilbert dish up accurate statements about food with a generous side of wit. 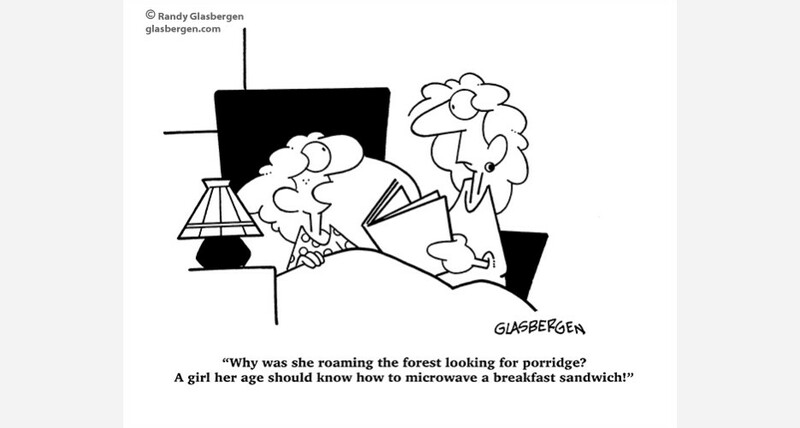 Even if you think you’re too grown up for cartoons and cereal, Sunday morning just doesn’t seem complete without reading the Sunday Funnies over breakfast. 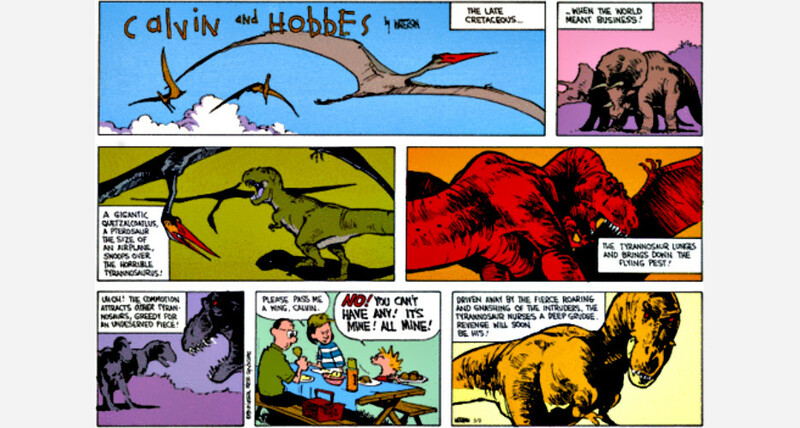 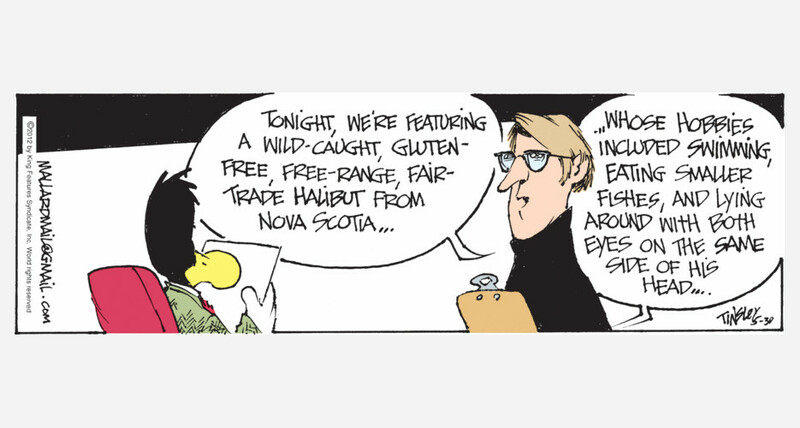 Although printed cartoons (and their newsprint media) are on the decline, Sunday comic strips have kept their nostalgic charm, and they’re still pretty darn funny. 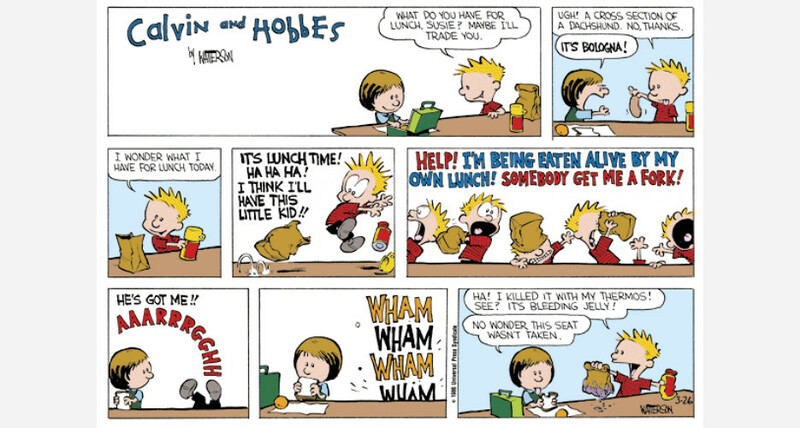 And when those comics combine with our favorite thing to talk about (food, duh), what could be better? 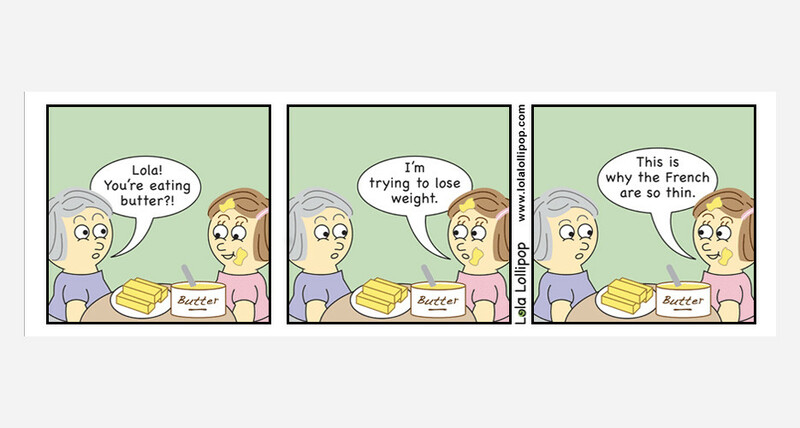 From classics like “Peanuts” and “Calvin and Hobbes,” to modern relatives like “Lola Lollipop” and “Dilbert,” comic strips are dishing up their usual wit and hitting home with some seriously accurate statements about food. 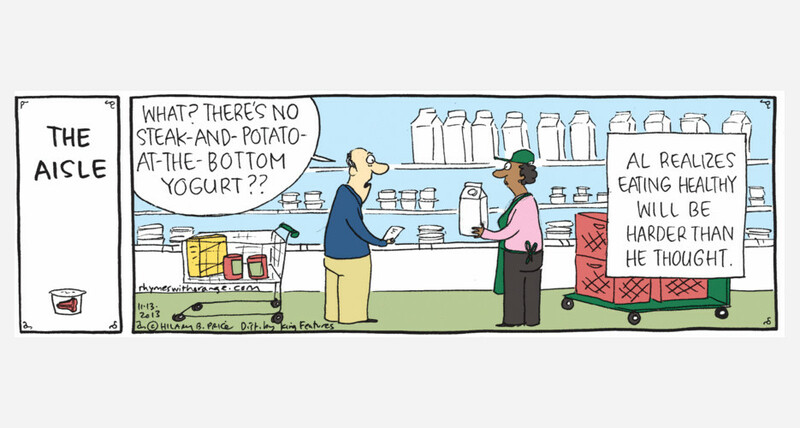 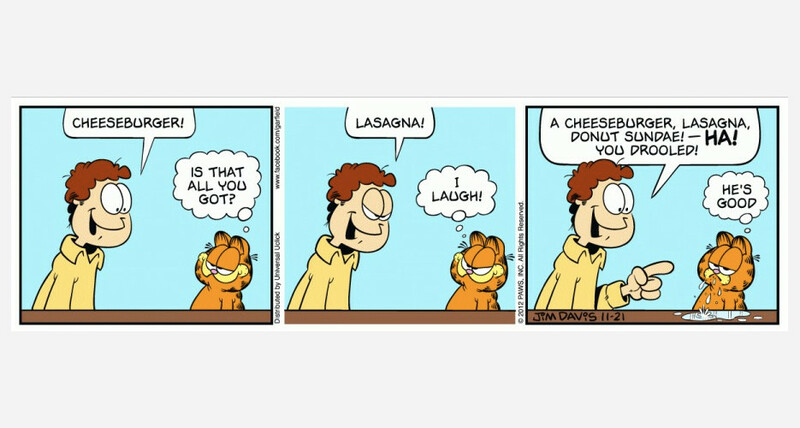 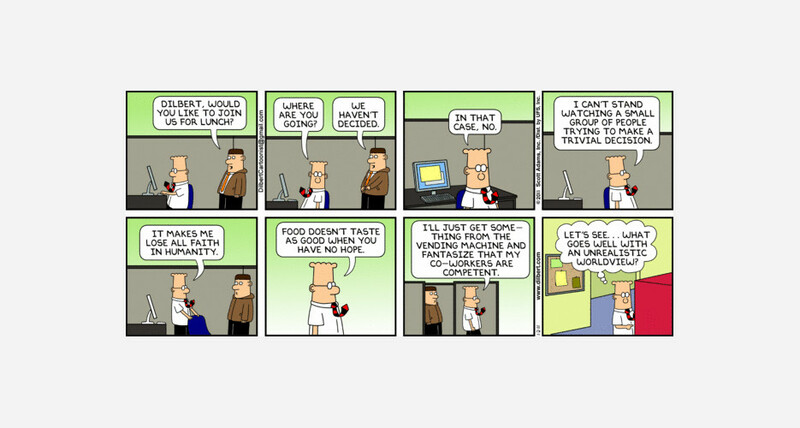 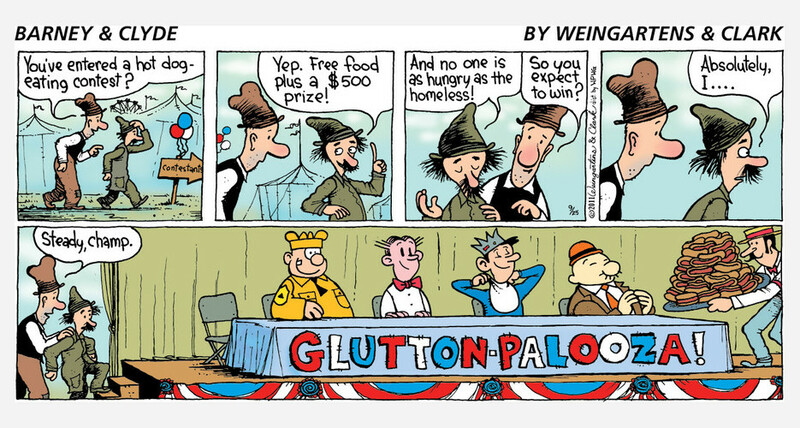 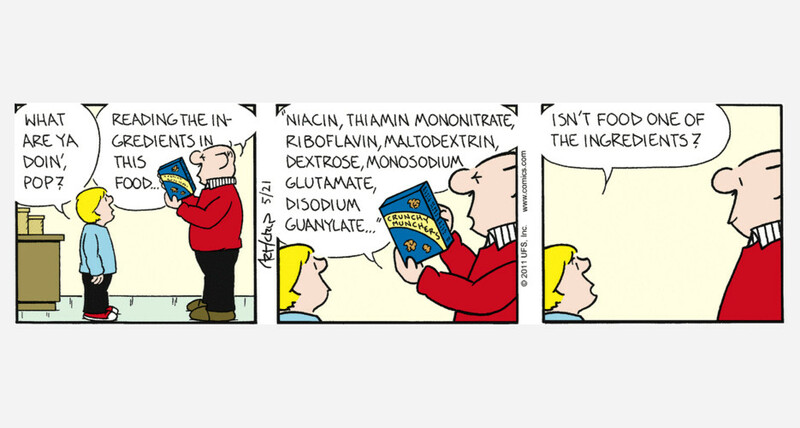 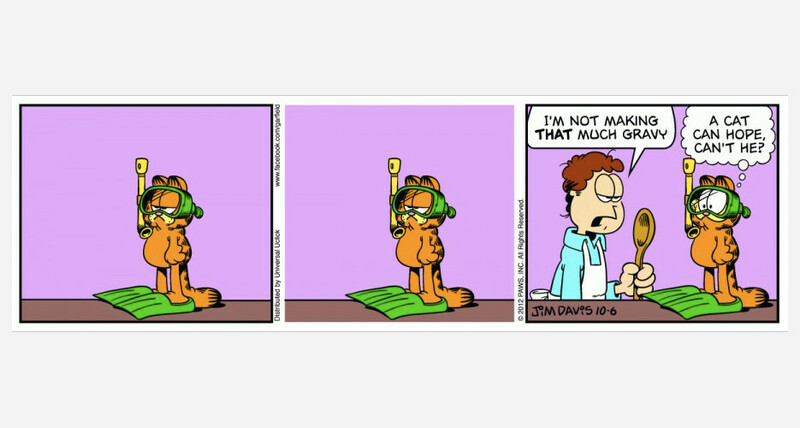 Click through the gallery for some of our favorite food-related Sunday comic strips.